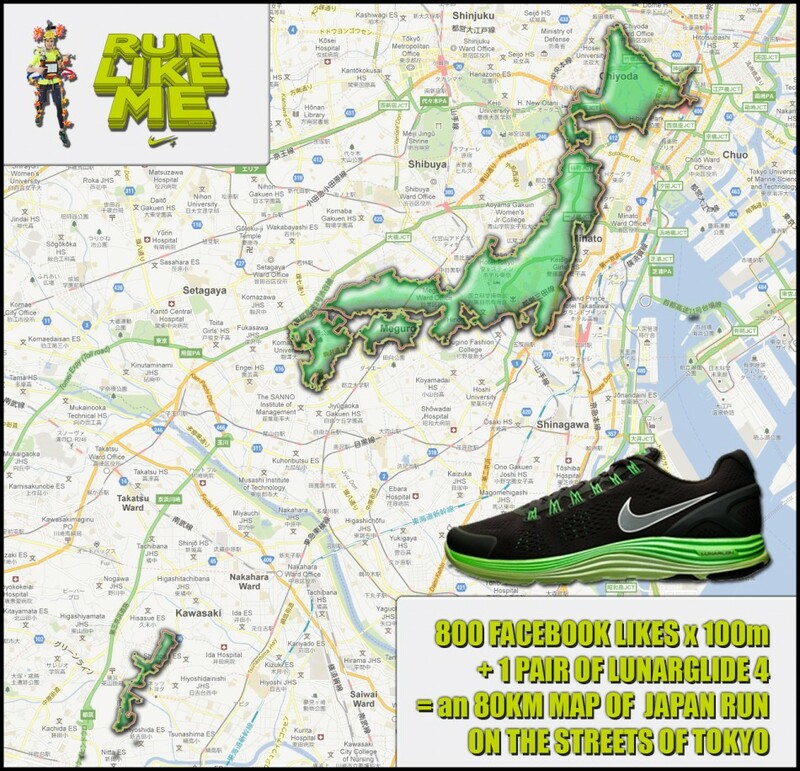 One of the first runs I did as a part of the Nike / Wieden+Kennedy Run Like Me project was the biggest running art challenge I’d taken on to date – an 80km map of Japan. It was only due to the exceptional circumstances under which this was suggested to me – a live TV show – that I agreed to do it! Turned out to be a fantastic experience though, taking me from the Imperial Palace in the heart of Tokyo (Hokkaido) to the fruit farms of Kawasaki (Okinawa).